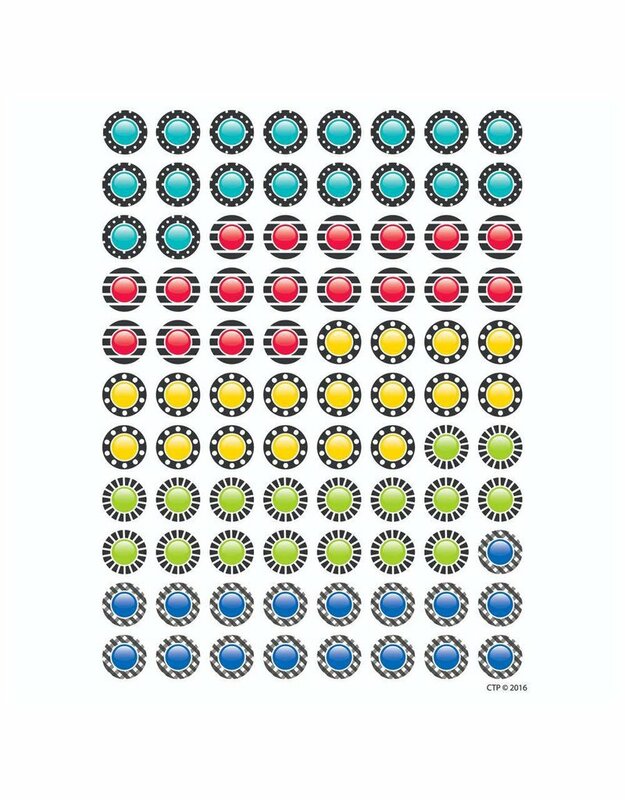 These Bold & Bright Hot Spots Stickers feature bold black and white patterns contrasted by pops of bright colors. The Bold & Bright collection pairs playful patterns and colors to create a warm, inspiring look for the classroom. Use with our classroom incentive charts and individual student incentive charts. 880 stickers per package. Approximately ½"